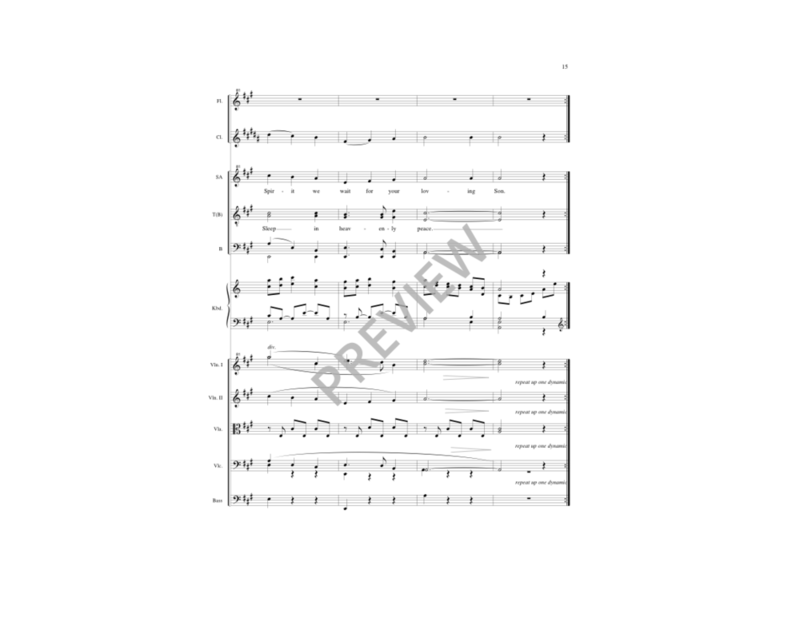 This full score for John Ferguson's arrangement provides the conductor with the following overview: 4 mixed voices, 2 Flutes, 2 Clarinets, String Quartet - 2 Violins, Viola, Cello, and keyboard. Does not include music for individual instruments. For individual instruments parts, order the Full Score & Parts.